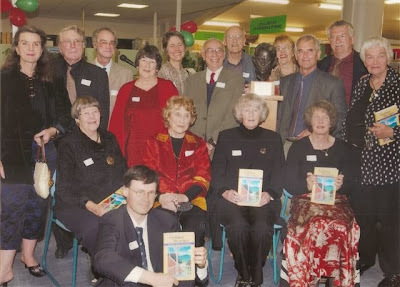 Golden Weather: North Shore Writers Past and Present. 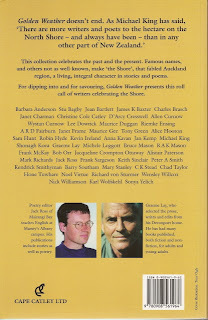 Poems edited by Jack Ross / Prose edited by Graeme Lay. ISBN 0-908561-96-2. Auckland: Cape Catley, 2004. 244 pp. Warwick Rogers. North & South 225 (December 2004): 109. Prose editor Graeme Lay, characterises the Shore as “Auckland’s Left Bank”. So, choosing whose work to include and whose to leave out would have been quite a task, but he has chosen well. The same can’t be said for the book’s poetry editor, Jack Ross of Massey University’s Albany campus. Call me a philistine if you like — and many of you will — but to me most of the poems in this collection, particularly those of the young contemporary poets, are utterly incomprehensible. I wish that Jack and Graeme had thrown a few of the stories in Jack’s book into their anthology, because Monkey Miss Her Now is a determined attempt to come to grips with the place Michael King rejected. 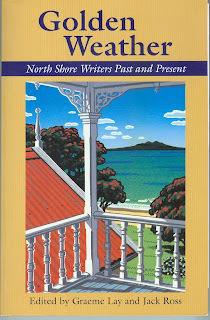 Jack’s unusual achievement is to treat the subject matter of this ‘new’, if not improved, New Zealand – language schools, suburban swing parties, boy racers, text message pests, and the rest – using a style and sensibility that hark back to the ‘classical’ New Zealand literary tradition that the best writers of the Old Shore did so much to establish.